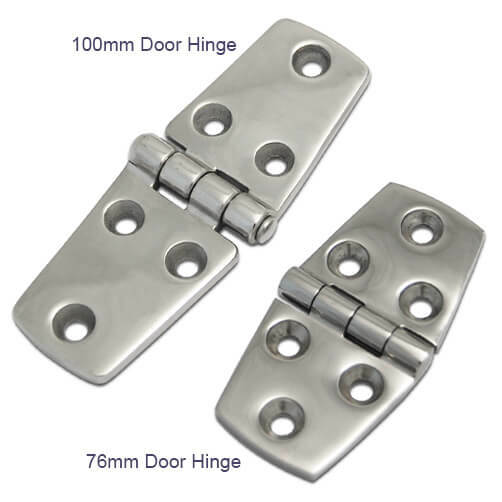 High quality door hinge, produced from 316 marine grade stainless steel. 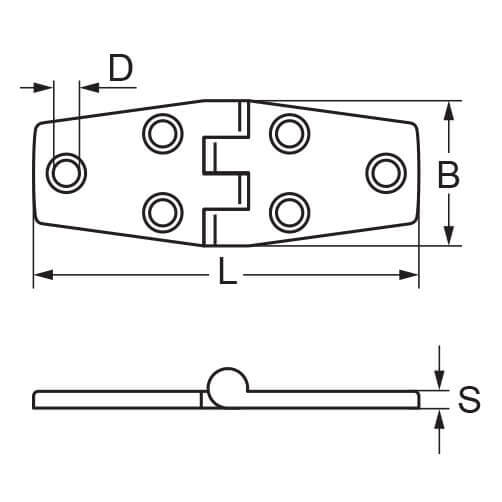 Six countersunk fixing points for you to attach with the fixings of your choice. Simple to install and built to last. 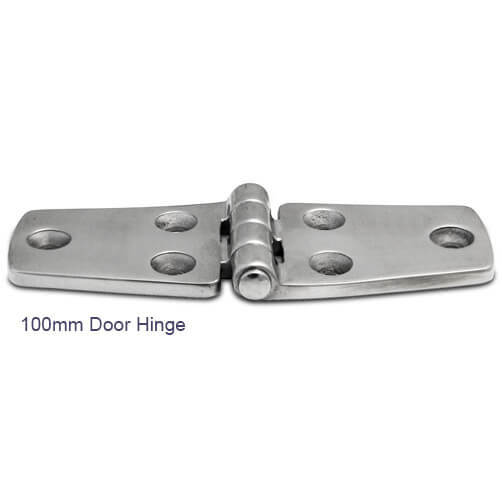 Ideal for DIY and professional installation of doors. No.8 Countersunk Wood Screws for 76mm Door Hinge. No.10 Countersunk Wood Screws for 100mm Door Hinge.